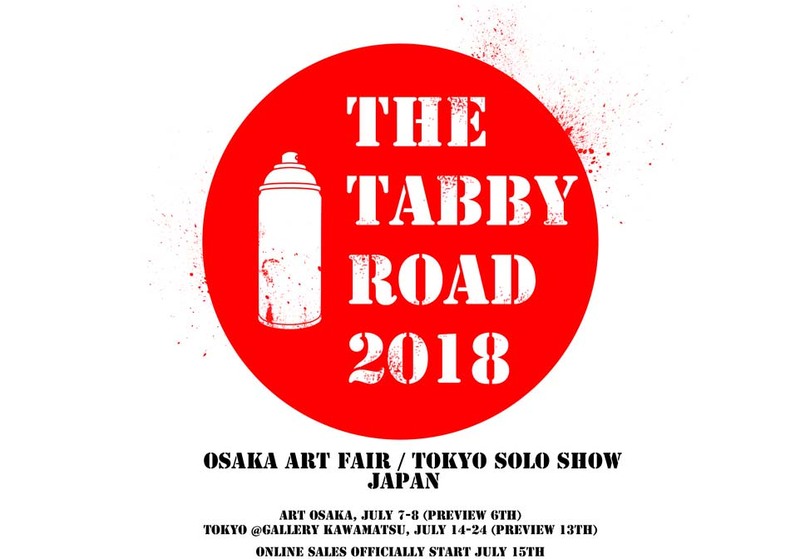 For the first time ever, a large body of work is set to feature in the 2018 Osaka Art Fair, as well as the first TABBY solo show in Tokyo this summer. 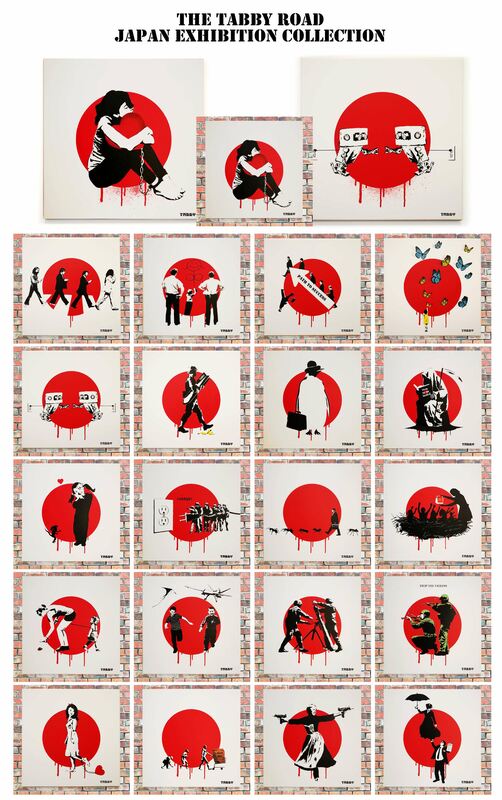 Time was recently spent in Japan putting up new work outdoors, as well as preparing over 20 different pieces on canvas. With main editions of 3, they have already been shown at Osaka Art Fair this past weekend and starting on the 14th an exhibition in the newly renovated space at Gallery Kawamatsu in Tokyo. Starting on the 15th, online sales will officially open as well. A link to the sales page will be found here, where orders can be taken from the gallery.